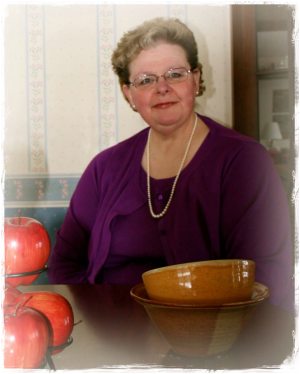 She moved to Lebanon in 1981 to accept a position as a Christian Educator at a local church. She would often entertain her youth group and parishioners at her home. Kathy and Cliff Snavely were married in 1983; three years later, they moved to Mt. Gretna, where they placed their custom made table with thirteen leaves in it, to accommodate guests and their large family when they'd gather to share a meal. In 2016, Kathy and Cliff left their beloved Mt. Gretna to move into a condominium in Lebanon. Kathy attended Penn State's Capital Campus, earning a Master's degree in Education, Training & Development in 1994. After working for a statewide association for several years, she started her own firm, Lightkeeper Consulting, specializing in entrepreneurship and small business development. One of her classmates at Penn State worked at a local community college and invited Kathy to join the faculty; she taught there through the end of 2014, when the Entrepreneurial Leadership major was deactivated. Kathy is tickled that many of her former students still want to stay in touch with her, and seek her counsel. 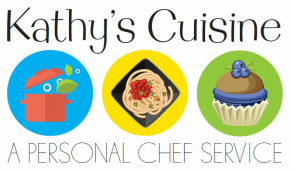 While she maintains her consulting firm, Kathy's Cuisine was initiated because - for her - "cooking is therapy, and it's pretty black and white - pretty far from the grey matter of consulting." She is honored to have been selected as one of Pennsylvania's Best 50 Women in Business and a Lebanon Valley Chamber of Commerce Athena Award recipient, as well as one of the Top 100 Marketing Professors and Top 50 Business Professors on Twitter. Kathy is putting all that entrepreneurial energy into this new endeavor, helping families save time, eat better and by generally making life more delicious!